Want the best salad you have ever had? 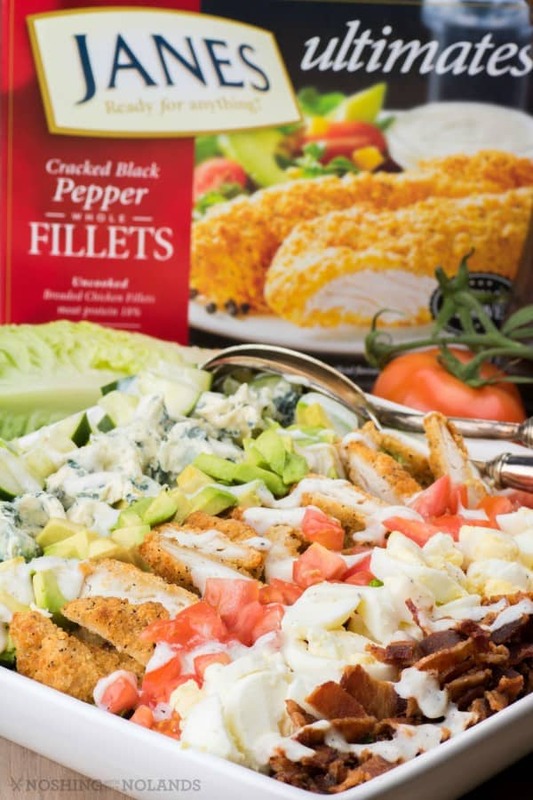 Well then this Cobb Salad Recipe using Janes Cracked Black Pepper Whole Chicken Fillets will surely fit the bill. I was inspired to make this salad thinking of the warm spring and summer days that are coming. What a great idea an entree salad is! Simple to prepare yet magnificent on flavor! Cook the chicken up in the morning as you are getting ready for work and then have it ready and cooled and waiting for you in the fridge. The ease of Janes prepared fillets will have you making this again and again. 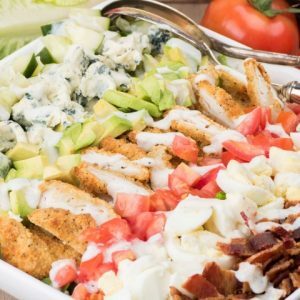 I love providing you with quick and easy meal solutions that the whole family will love just like this wholesome and delicious Cobb Salad. 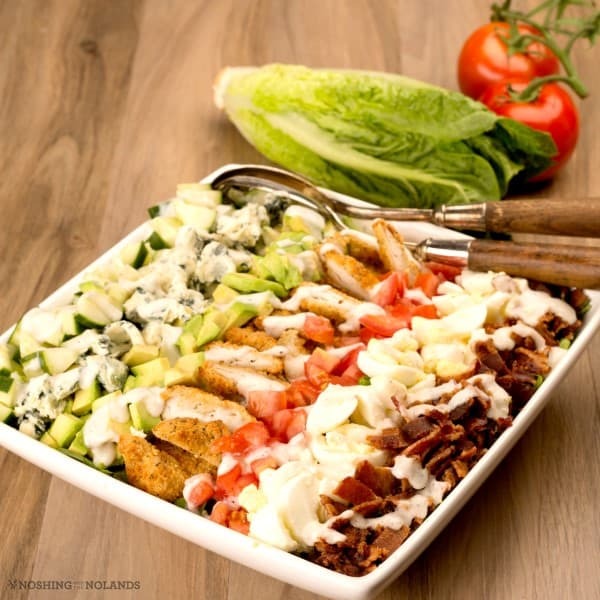 The crunchy chicken, the smoky bacon and creamy mild blue cheese are all scrumptious with farmer’s market fresh veggies. You will want to go and grab all the ingredients to make this salad tonight!! When making this salad you want to make sure all the ingredients are of the same high standard that Janes gives you. Buy plump ripe veggies, good quality bacon, fresh eggs and scrumptious cheese. The dressing for this salad is also provided by Janes right in the box!! The dressing is a gorgeous ranch and goes perfectly with the other ingredients. Ken was raving it was the best salad he has ever had, I totally had to agree with him! I really love serving my family wholesome 100% chicken meat, it is a great source of protein. Have you had a Cobb Salad before? The variety of ingredients go so amazing together. This salad is totally company worthy too as your friends would just love it. Bringing this to a family gathering or potluck would get you rave reviews!! 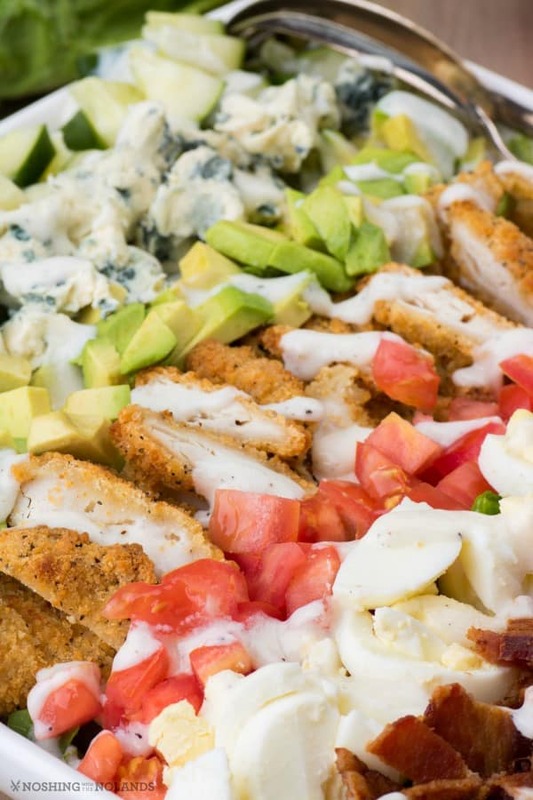 You can vary up your Cobb Salad to the way you like but don’t forget that awesome Janes chicken. I really liked the cracked black pepper coating on the chicken for this salad, just gave it even more zest. If your family is bored with the ho-hum of your usual meals try them on this flavor boosted giant salad. I upped the tastiness in the lettuce department too by adding in a little peppery arugula, so that big flavor carries all the way through this meal. Think of making up this salad and then taking a short drive to a park and enjoying it in the great outdoors this spring/summer. It can be easily portable! Crack open a beverage and enjoy some sunshine and each other’s company while you dive into this big bowl of goodness. 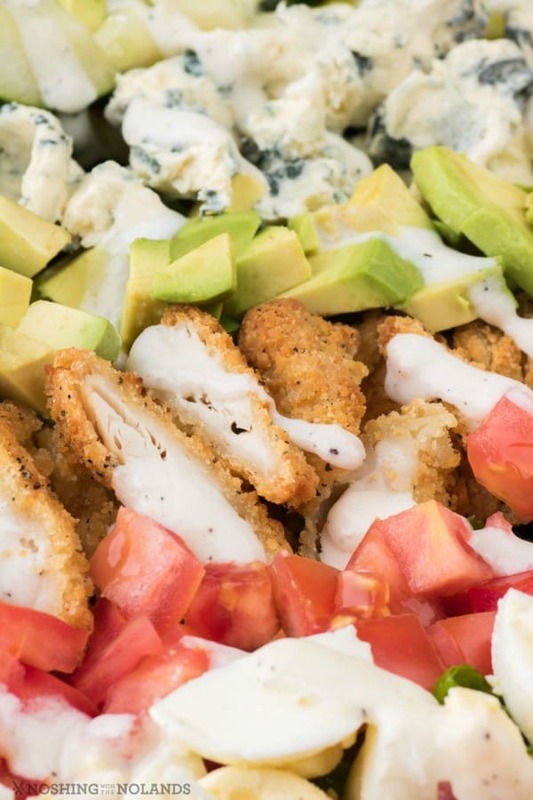 The Cobb salad is an entree and an American garden salad using superior quality Janes Cracked Black Pepper Whole Chicken Fillets. These easy to cook fillets are a time saver that also provide your family with wonderful nutrition. Place the romaine lettuce in a large serving dish and toss with the arugula. Line the chicken down the center and then to one side the tomatoes, eggs and bacon. To the other side the avocado, blue cheese and cucumber. Just before serving drizzle on one package of the ranch sauce and serve. 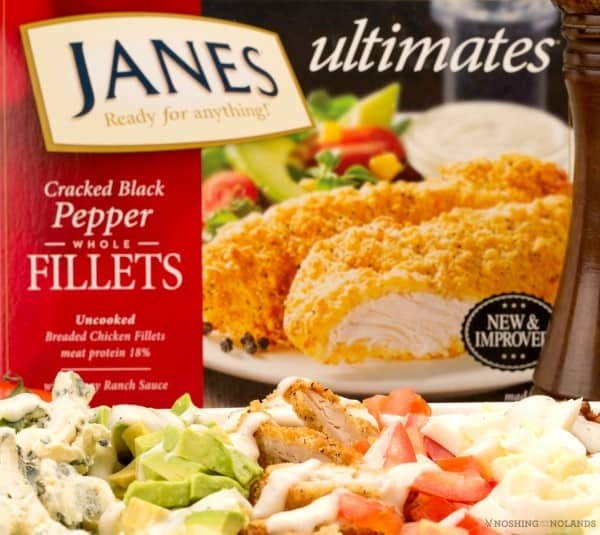 I am thrilled to be giving away 5 Janes Coupons, each for one box of Janes Chicken or Fish Products. You can then enjoy this salad and many more!! Giveaway available to Canada only. A draw will be held on June 12th at 12:00am, which at that time a random winner will be chosen. The winner will have 48 hours to respond by email or another winner will be selected. Good luck everyone! I am craving the boneless bites with buffalo sauce. That looks so good! 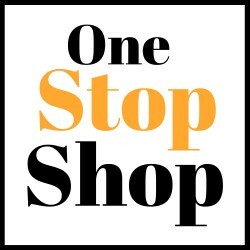 I love to use frozen foods to make yummy meals in less time. I love this! I am on the go all the time, so a meal like this that uses frozen items is a great way to cut down on time. Thanks! Oh I would love to try the battered fish bites, they look delicious! I will have to try them in a salad like this, have never tried a salad with fish, buy this looks amazing! My boyfriend loves Cobb Salad. I definitely want to try this recipe out, because I know he will love it. The one reason I am always hesitant to try out a Cobb Salad recipe is because it seems like there is so much prep-work that goes into it. This recipe makes it look really easy! Oh my goodness! Your Cobb Salad recipe looks incredible! Perfect for Memorial Day and so many other occasions. My family is going to love this! Cobb salad is one of my husbands favorite food. He loves anything and everything that has to do with that salad especially the dressing. Cobb Salads are my absolute favorite! I think this looks fantastic! I would totally eat this all up! I love me a good Cobb salad. This looks yummy. Oh yum! What a great idea. I bet the guys would be happy if I whipped up an easy Cobb salad this weekend. It would be super nice for a sunny day. Oh this sounds really good! I love a good salad and this one sounds quite hearty. Cobb salad is my all time favourite. I can’t wait to try this variation! Janes products are always a hit in my house. The chicken fingers are a favorite to make wraps with. This recipe looks so good. This recipe looks so delicious and easy to make. I will have to get the ingredients I need to make some this weekend. I am sure my kids will love it. I love salads but surprisingly haven’t had Cobb Salad before. It looks tasty and has all the things I like so I can’t believe I haven’t tried it! This looks really good. Nice layout and plating, makes me want to make it now! I am craving the Janes Buffalo Chicken Wings with Signature Sauce. Amazing post! Thank you for this awesome giveaway! I just tried Jane’s fish for the first time last week and I am in love for sure! Love the Jane’s pub style chicken strips. I’m craving Janes Lemon Pepper Cod. It’s so good! I’d love the Boneless Bites with some HP Sauce! Looks great! I would love to try out the recipe! Now I’m craving the Janes English Style Fish. Will have to see if I can’t find it at my grocers. I like the chicken fingers with dipping sauce or use it in a wrap.